Fyfe's Well Drilling Ltd. has a complete range of pumps to suit your well size and water flow. From the largest, deep well multi-stage pump, to a smaller pump for your home, barn or cottage, we can supply it. Service, in many instances, can be done on site with our mobile shop unit. 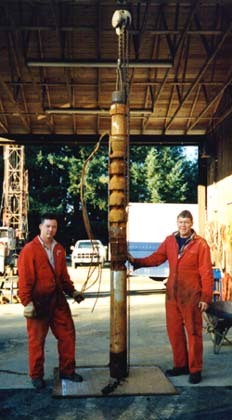 of a typical domestic well pump system. Window is resizable by dragging corner. We employ BC government certified welders and pump installers, and BC Hydro certified technicians for pump and system wiring. We are fully insured and bonded. Our use of state-of-the-industry equipment, materials, procedures, and protocols ensure hydraulic and hydrological integrity for all of our clients' projects.